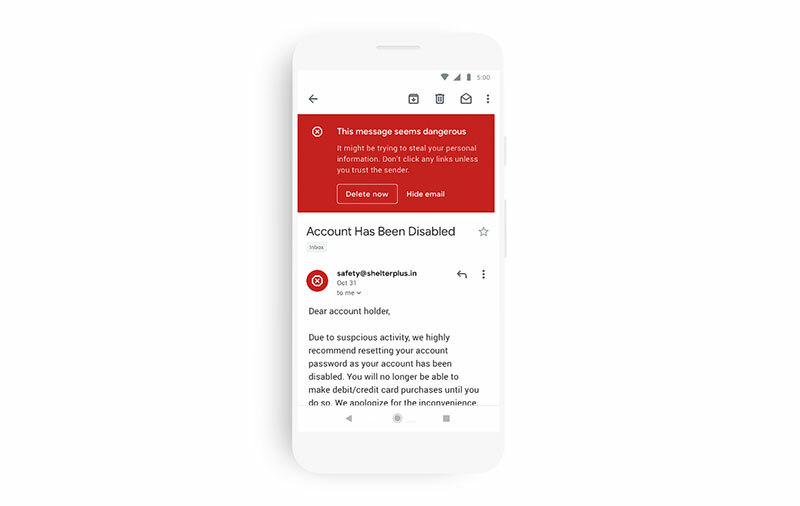 Google has announced that it’s rolling out a new design for Gmail on mobile starting today. 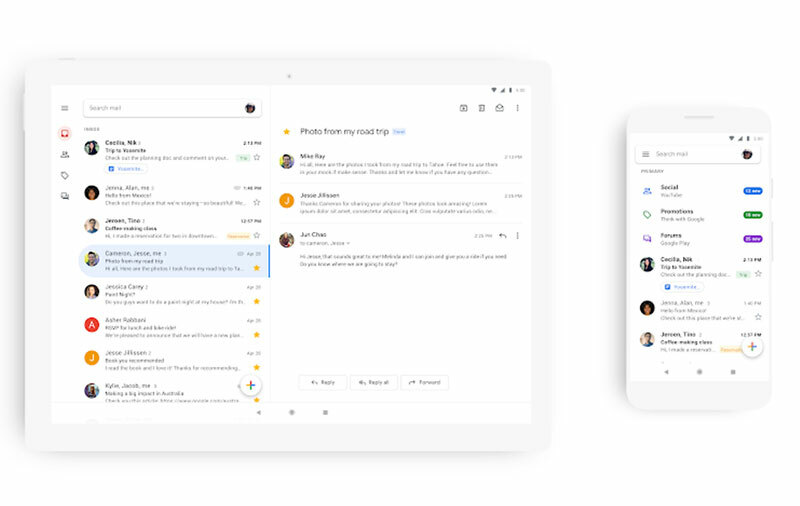 Based on the company’s Material Theme, this will bring the look of mobile Gmail more in line with the look of desktop Gmail. It’s hard to miss the visual changes the first time you open the updated Gmail app. 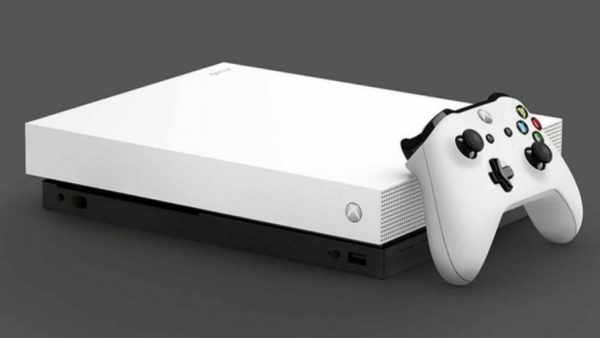 For one, the red bar across the top is gone, replaced by a white search bar that also holds the account switcher on the right. The red action button at the bottom right is also replaced with a white button with a multi-color plus sign. Unsurprisingly, the Google Sans font and new options for inbox view (default, comfortable, compact) that are already available on desktop Gmail have all made their way to the updated mobile Gmail. As part of the new design, you can quickly view attachments—like photos—without opening or scrolling through the conversation. It’s also easier to switch between personal and work accounts, so you can access all of your emails without breaking a sweat. And just like on the web, you’ll get big, red warnings to alert you when something looks phish-y. Google is rolling out the redesigned mobile Gmail to both Android and iOS in the coming weeks. More G Suite mobile apps are expected to get the Material treatment later this year. Google Chrome is a decade old and gets a major update!